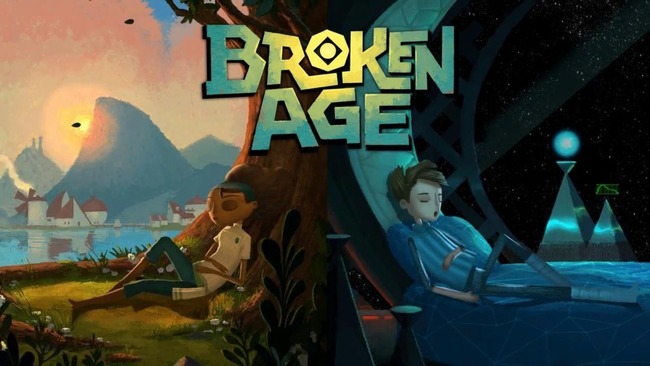 “Broken Age” follows Shay, a disenchanted teen trapped in a spaceship, forced to complete mundane missions, and Vella, the subject of a morbid ceremony turned status-quo-challenger. I’d feel guilty giving more detail simply because the character’s stories are absolutely wonderful. They intertwine exquisitely, and the ability to switch between the two at any time both satisfies narrative desire and quells frustration. Speaking of frustration, boy, is this game a treat. I played a small portion of it on my Vita, but the loading screens were too much to handle. After making good use of the cross-save feature, I continued my adventure on my PlayStation 4, where my frustrations were uniquely inherent to gameplay rather than technological issues. The mechanics of “Broken Age” are simple: you control each character by pointing and clicking. In doing so, you navigate various locales and solve puzzles by collecting, combining, and trading items. “Broken Age” is available now on PlayStation 4, PlayStation Vita, Android, iOS, Ouya, Mac, Linux and PC. The system brings about plenty of clever gameplay exploits that had me smiling, but some of the puzzles are just insanely difficult. In all honesty, I used a walkthrough for the entirety of my play-through. While I felt it necessary, I’m sure puzzle maniacs will go gaga for this system. Solving a tricky puzzle is definitely rewarding. Instead, I wanted to experience the story the game had to offer, so I had no qualm at all in using a walkthrough—it was really just a means to an end for me. Along my journey through Shay and Vella’s saga, I was equal parts amazed and bewildered. The settings and characters that Double Fine throws at you are disparate, whimsical, and jaw-droppingly beautiful in sheer imagination. I met characters so memorable that I laugh just thinking about them—Jack Black’s cloudy cult leader, Harm’ny, is a hilarious dirtbag. The fuzzy beings on Shay’s ship are annoyingly adorable, as are the moody teleporters. I could go on and on—each and every animate object or person or creature is truly memorable and serves a purpose in the overall narrative. “Broken Age is available now on PlayStation 4, PlayStation Vita, Android, iOS, Ouya, Mac, Linux and PC. And what a narrative it is! When “Broken Age Act 1” first released (don’t worry, the entire experience is seamless, despite the weird release schedule), I heard whispers of a legendary twist. Concerned about the ever-present hype-train, I took a deep breath and leveled my hopes. Still, the mid-game twist left me in awe. The fast-paced unraveling of the story didn’t let up after that, either. I kept clenching at every cutscene, eager for even a tiny tidbit of information. This continued until the game’s end, which, when compared to the rest of the story, wasn’t quite up to snuff. It did, however, leave me with entirely positive thoughts about my experience. 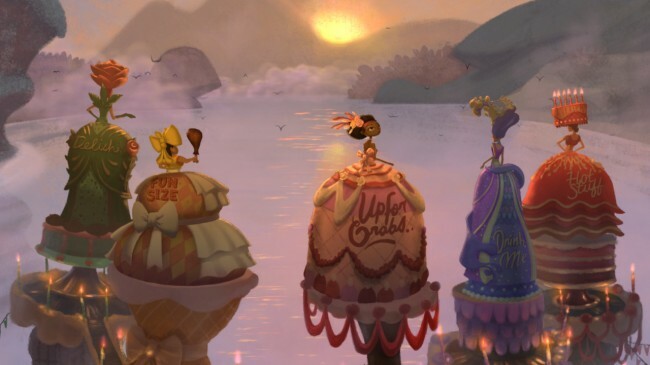 I can’t say enough great things about “Broken Age.” Double Fine Productions dipped into the wells of imagination and extracted everything that satisfies our inherent desire for amazing stories; gut-splitting dialogue, memorable characters, and fantastic settings abound in this adventure. A few overly frustrating riddles are no reason at all to let this near-perfect game pass you by. “Broken Age” was reviewed on PlayStation Vita and PlayStation 4. It is available now on PlayStation 4, PlayStation Vita, Android, iOS, Ouya, Mac, Linux and PC. The game was released on April 28, 2015. “Broken Age” is rated “E 10+” (Everybody 10+) for Crude Humor, Fantasy Violence, Mild Blood, and Mild Language.